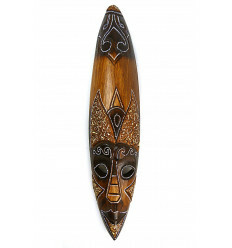 Tiki mask Polynesian wood 50cm. 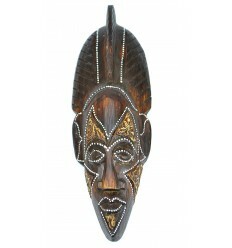 Decoration maori tahiti exotic. 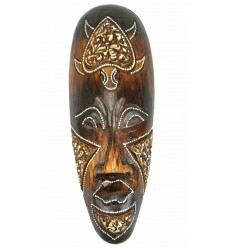 > Ethnic decoration>Wall decoration>Masks>Tiki mask Polynesian h50cm wood. 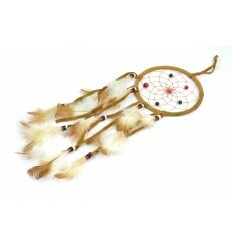 Decoration Maori. 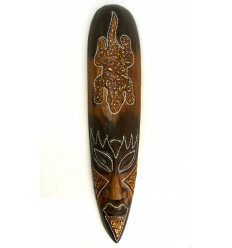 Tiki mask Polynesian carved wood and hand painted. 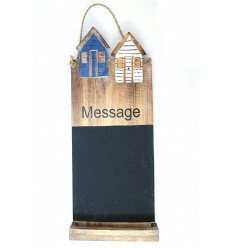 Dimensions : H50 x 14 x 7cm. 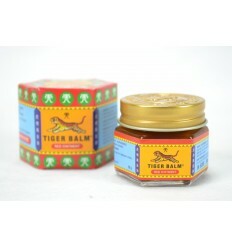 Material : exotic wood from planted forests. 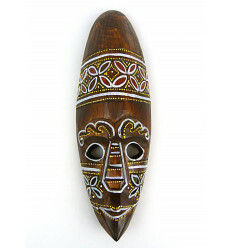 A fastener is present at the back of the mask for easy hanging on the wall. 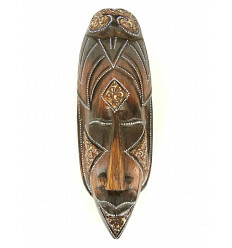 The Polynesians the peoples worshipped and feared. 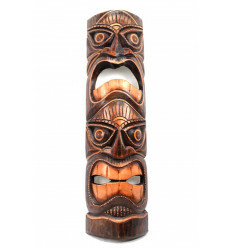 The tiki represents their old gods and distant ancestors mythic. 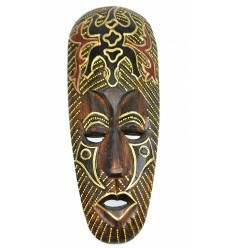 It is a being half-man, half-god who gives power, strength and protection against dangers. It has the value of a talisman, a tiki placed outside of a house protects its inhabitants. 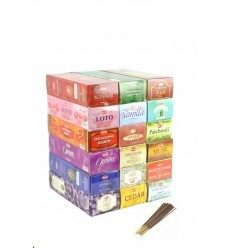 A handcrafted and fair imported directly by Coco Papaya. 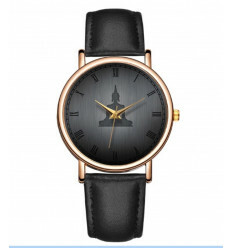 Many other models in our online store. 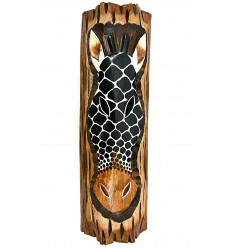 Do you like the deco and exotic crafts of the world ? 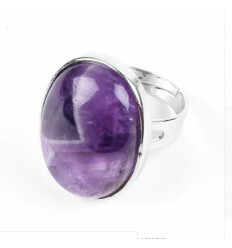 Subscribe to our newsletter to be informed(e) of our arrivals ! 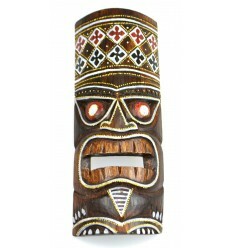 The legends tell that the Tiki would be the creator of man, and that the sorcerers polynesians him, attributed powers. 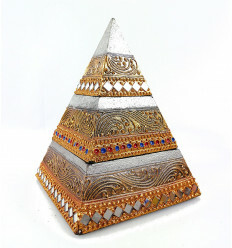 Strength, beauty and prosperity... the key features of these sculptures are reflected by a triangular face with the absence of a neck, the arms stuck to the body and jambres sleeves. 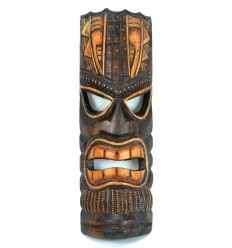 The head of the tiki symbolizes the power that it houses. 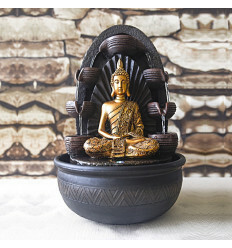 His eyes express the knowledge and the power of the supernatural. As for his stretched mouth, and sometimes she pulls the language, or shows his teeth to mark the challenge, and provoke the opponent. 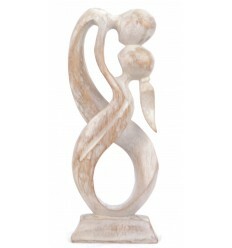 This beautiful piece of 50cm of height will add a touch of the exotic and bewildering to your decor ! 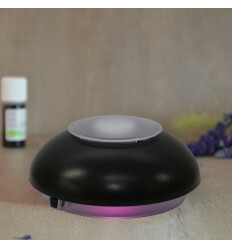 Les couleurs sont plus foncées en vrai. 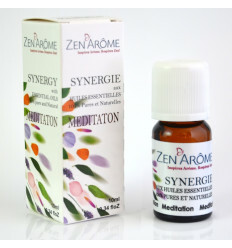 Ca créer une bonne ambiance! 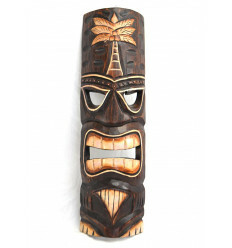 Tiki mask h50cm wood. 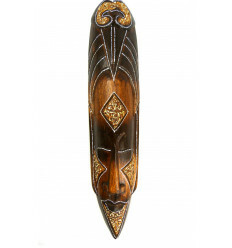 Deco, maori, crafts of the world. 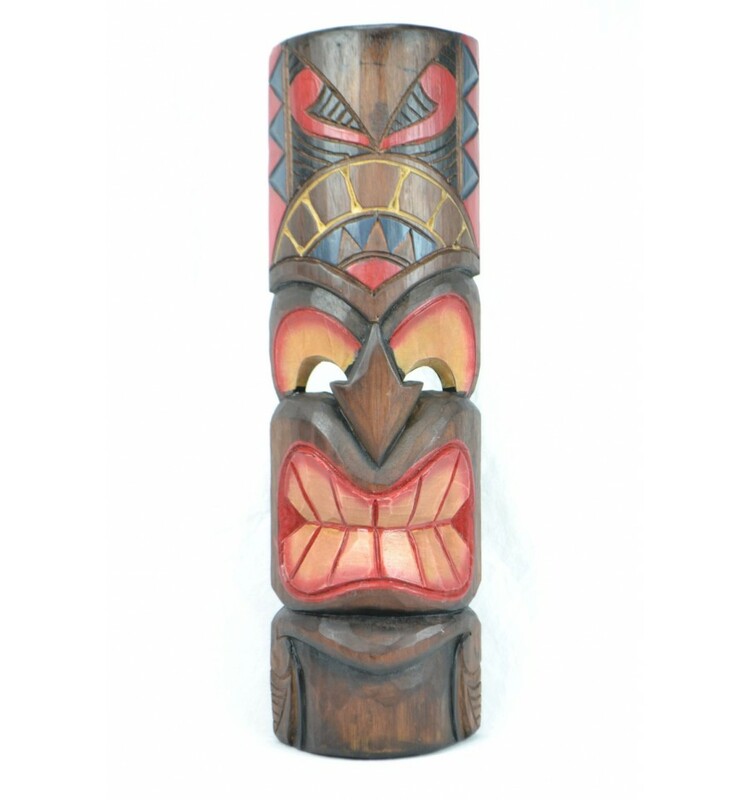 Tiki mask h30cm wood. 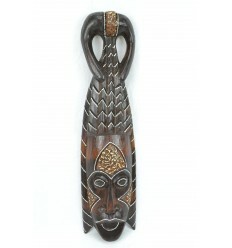 Decoration Maori Tahiti Polynesia. 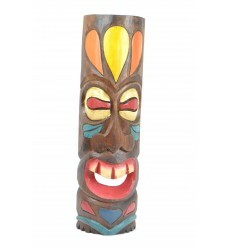 Tiki mask h30cm wood colorful pattern. 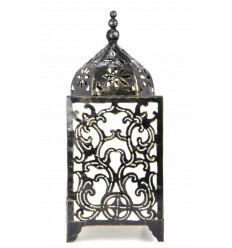 Deco Hawaii. 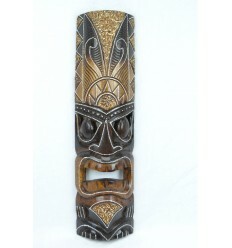 Tiki mask Polynesian h50cm wood. 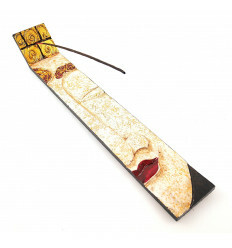 Wall decoration exotic. 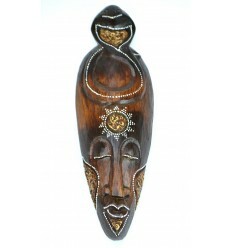 Tiki mask h30cm wood, handcrafted. 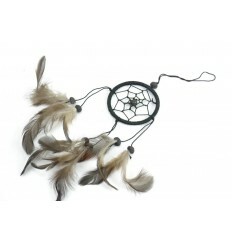 Dreamcatcher black - ideal rear-view mirror ! 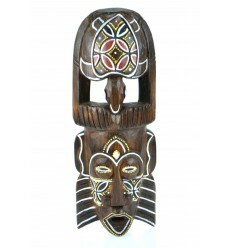 African mask wood 50cm tribal style. 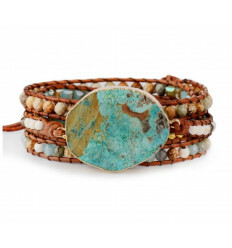 Handcrafted. 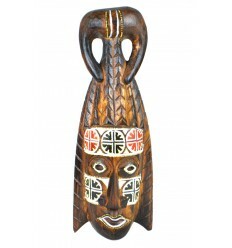 African mask in wood 30cm pattern bird. 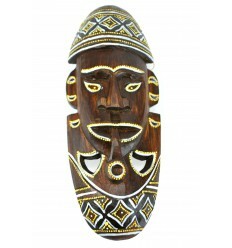 African mask in wood 30cm ground pipe smoker. 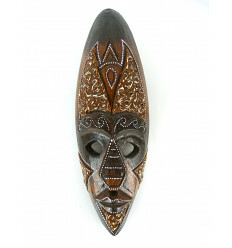 African mask in wood 30cm pattern tortoise color. 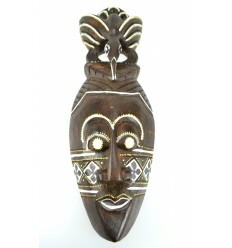 African mask in wood 30cm decoration africa. 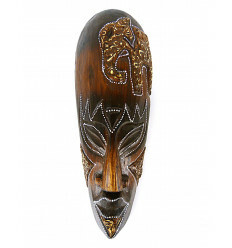 Wooden mask 30cm - decoration ethnic chic african style. 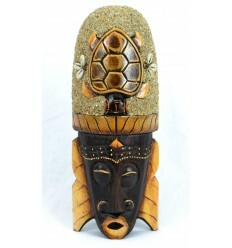 African mask in wood 30cm pattern Turtle. 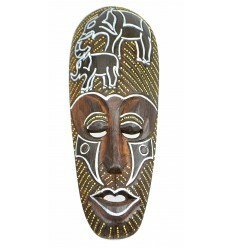 African mask in wood 30cm ground Elephants. 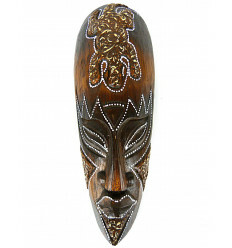 African mask in wood 30cm ground Gecko. 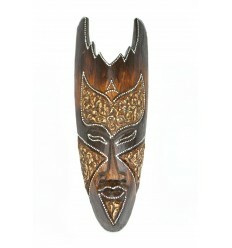 African mask in wood 30cm tribal pattern. 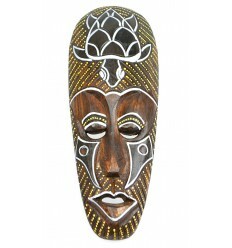 African mask wood 50cm. 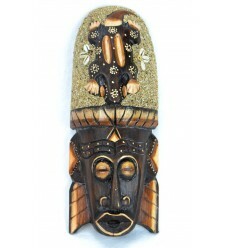 Deco wall african. 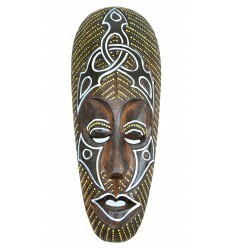 African mask wood 50cm. 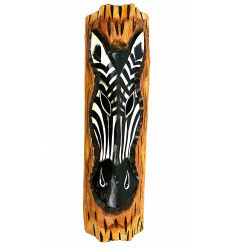 African decoration craft. 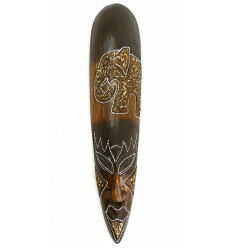 African mask wood 50cm pattern elephant. 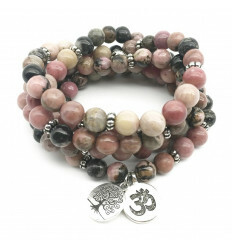 Handcrafted. 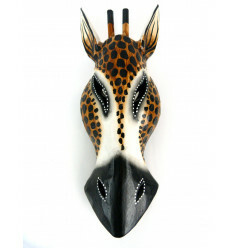 Mask Savannah H30cm wood. 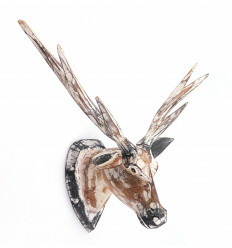 Trophy Gazelle Antelope. 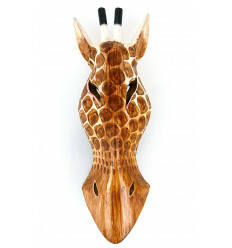 Trophy Safari H30cm, mask Giraffe wood. 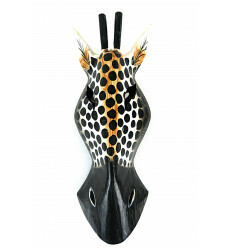 Mask Giraffe wood H30cm style of a hunting trophy.